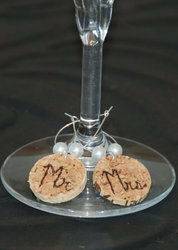 Pioneers in the industry, we offer natural cork and mr & mrs wine cork charms from India. We are a renowned and customer centric firm, which is engaged in delivering a comprehensive range of Natural Cork. These are suitable as a material for bottle stoppers and especially for wine bottles. The offered product is also an essential element in the production of badminton shuttlecocks. Apart from this, this product is available in various options to choose from.